Cozy apartments with modern design. In walking distance from metro Krasnopresnenskaya, Barrikadnaya and Ulitsa 1905 goda. They have a bedroom with a King size bed and a large wardrobe, a living room combined with a fully equipped kitchen and a bathroom. Apartments are equipped with modern furniture and household appliances. The apartment has a plasma TV with cable channels and free Wi-Fi, a King size bed, a sofa bed, washing machine, microwave, iron and ironing board, toaster, coffee machine, clothes dryer. For your convenience, we provide bed linen, towels, bathrobes, soap, shampoo, toilet paper. My accommodation is suitable for couples, solo travelers, business travelers and families with children. The Neighborhood has a well-developed infrastructure. 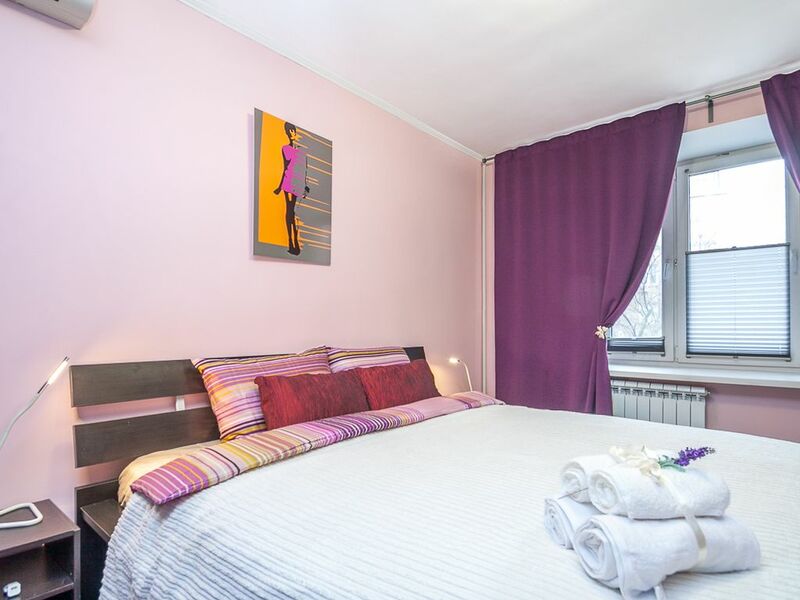 The apartments are located in a 7-minute walk from the metro Barrikadnaya, Presnya and 1905. In walking distance there are the Zoo, the largest cinema in Moscow a large supermarket, banks, cafes and restaurants. In the building there are a pharmacy, grocery store. Smoking is forbidden in my apartment.